A TV biography of Rock Hudson plays on the left monitor. The image freezes, and a TV biography of Doris Day starts up on the right hand screen. 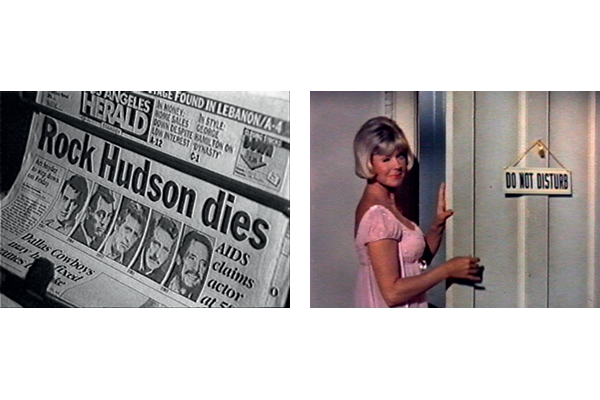 Stopping and starting, the two biographies alternate, as Hudson dies in shame from AIDS-related illness, and Day is lauded by her friends and family.